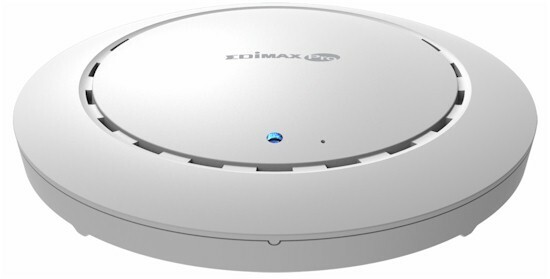 Edimax introduced its Pro Series access points at CES 2015 and they recently started shipping. We haven't tested a lot of AC access points and people seem to be looking for them. So we decided to bring two of them in. 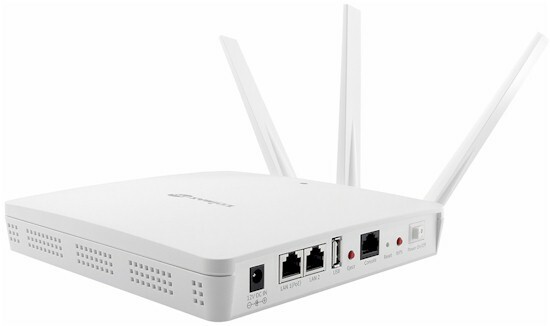 I'll be looking at the CAP1200 and flagship WAP1750 Pro series business-class access points. I'm going to cover both as standalone access points, as well as using one in controller mode with Edimax's Network Management System (NMS). The WAP1750 is an AC1750 class AP with a 7" x 7" (18.3 x 18.3 cm) footprint and about 1.5"(3.6 cm) tall. It can also be wall or ceiling mounted with included hardware and powered via 802.3at PoE or with an included AC adapter. Edimax rates the WAP1750 also as capable of supporting up to 50 concurrent clients per radio. The WAP1750 has two 10/100/1000 Ethernet ports. Port 1 will be connected to the main wired network and can receive power via 802.3at PoE. Port 2 is an 802.3af PoE port that can power other PoE devices such as access points or IP cameras when the WAP1750 is powered using the included 12V / 4A power adapter. I grabbed the WAP1750's callout diagram from its User Manual. Edimax hasn't posted the CAP1200's manual yet. Edimax turned to Qualcomm Atheros (QCA) and Mediatek to power the WAP and CAP. The CAP1200 mainboard is shown below, built around a MediaTek MT7620 802.11n 2T/2R SoC as the main processor and 2.4 GHz radio. The 5 GHz radio is a QCA9882 2x2 802.11ac/a/b/g/n radio. The WAP1750 has a larger mainboard, shown below, with a Qualcomm Atheros QCA9558 802.11n 3x3SoC as the main processor and 2.4 GHz radio and QCA9880 3x3 ac 5 GHz radio. The key components for both APs are summarized in Table 1.